The Yokohama Civic Art Gallery is holding Contemporary Art in the Late Showa (1964–1989), an exhibition drawn from the 1,300 works in its collection (March 1 – 17, 2019). The Yokohama Civic Art Gallery has been a great supporter of Suga’s work. He has made several major installations there, in solo exhibitions held in 1979 and 1986, as well as several important group shows. 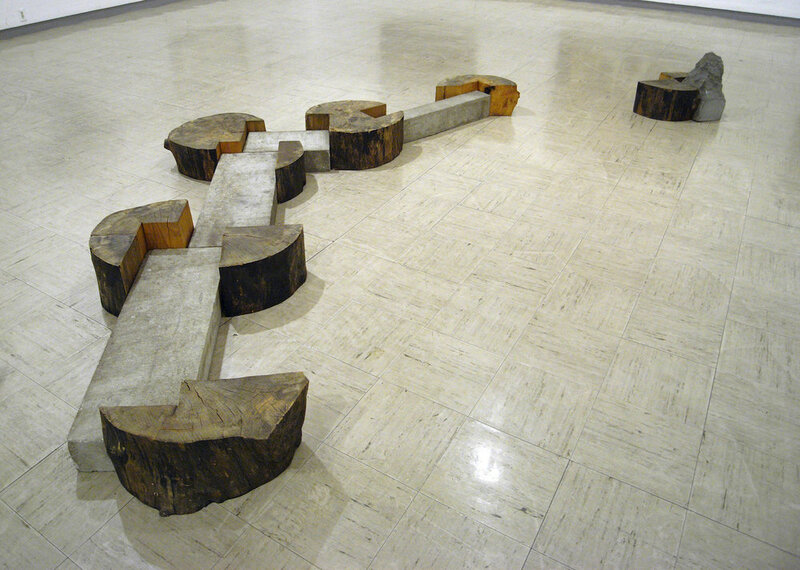 Kishio Suga, Spreading Wood '86 (1986), wood, stones. 440 x 240.0 x 42.5 cm. Installation view at Yokohama Civic Art Gallery, 1996. Photo: Tsuyoshi Satoh.